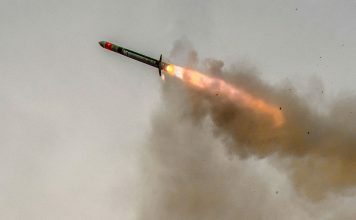 IAI’s newest unmanned aerial vehicle is designed with range and payload performance just below the maximum performance set under the Missile Technology Control Regime (MTCR), an issue that has sofar restricted the export of several Israeli unmanned aerial platforms. 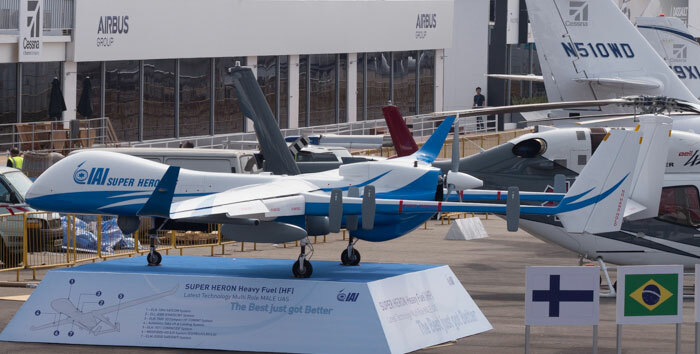 Israel Aerospace Industries’ (IAI) unveiled today at the Singapore Air Show an enhanced design of its Heron I unmanned aerial vehicle (UAV) called ‘Super heron’. 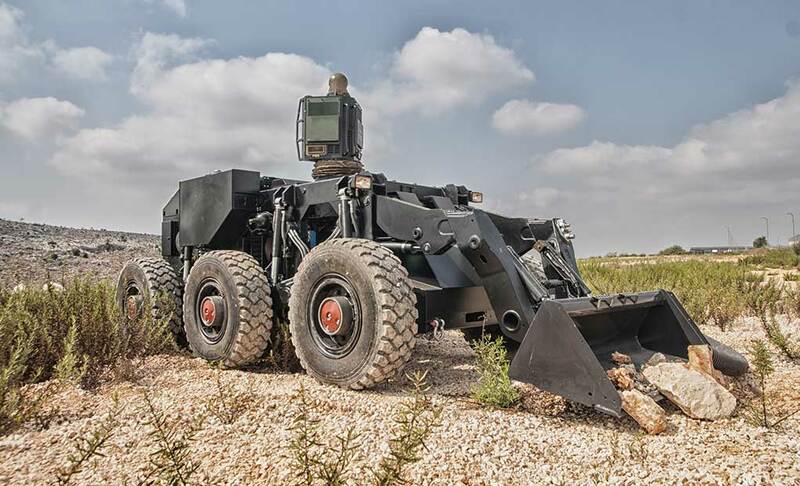 The new drone offers improved payload capacity and optional Heavy Fuel Engine configuration. 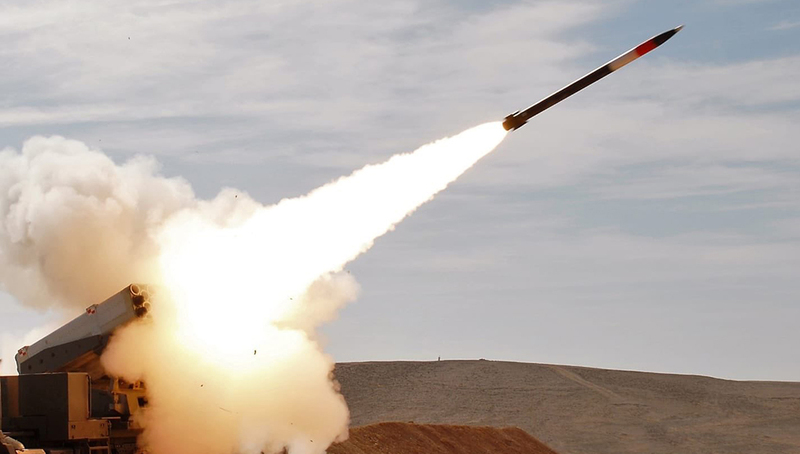 Its weight/range characteristics position it below the MTCR export control threshold, thus improving its competitive advantage. 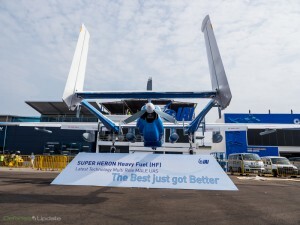 The Super Heron has new aerodynamic design, featuring more streamlined curves, larger engine bay and winglets, improving the drone’s aerodynamic efficiency. “Based on IAI’s world-renowned Heron UAS, the Super Heron introduces the latest technology and re-defines Medium-Altitude Long-Endurance (MALE) Unmanned Aerial System (UAS).” Said Joseph Weiss, IAI’s president and CEO. 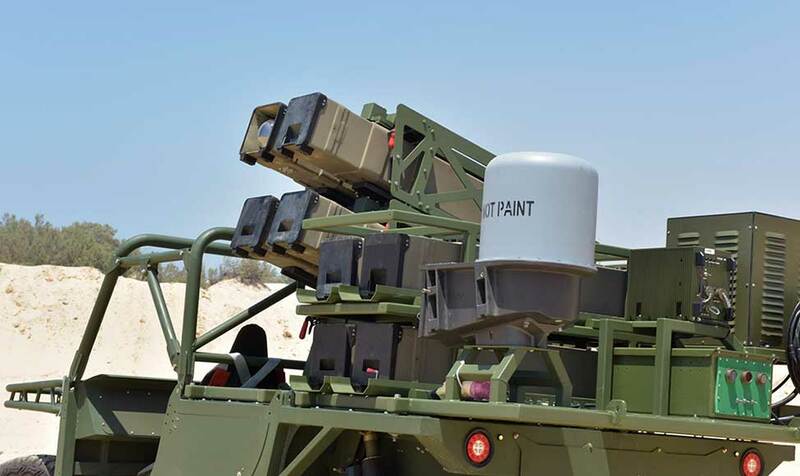 “The Super Heron offers a flexible and modular design that adapts well to many of IAI’s customers seeking to extend their UAS capabilities, as well as for new customers entering the field.” Weiss added. The engine bay is adaptable to carry two engine types – either the existing Rotax 914 engine or a new Heavy Fuel Engine (HFE) with fuel injection made by the Italian company DieselJet SRL. This 200HP engine is based on an automotive diesel engine made by FIAT which is currently undergoing aviation certification by EASA. The HFE engine is slightly heavier than the ROTAX. To compensate for the additional weight the diesel offers better fuel consumption, which is further enhanced by the winglets, extending the wings spanning 17 meters. The new engine significantly increases the airspeed of the Super Heron over the current Heron I. According to IAI, it will exceed 150 KTAS (knots true airspeed = 278 km/h). 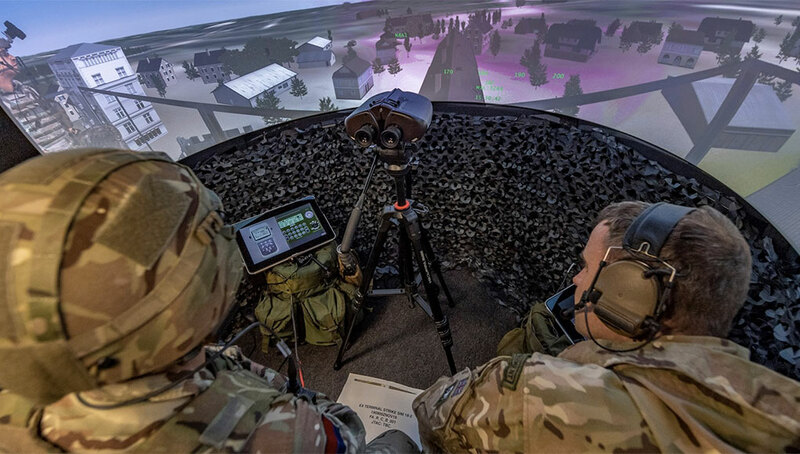 For optimal mission endurance and reconnaissance capability the drone maintains a low speed loiter capability at 60-80 KTAS (111-148 km/h). The mission radius of the drone is 250km (134 nautical miles) using line of sight datalink, or 1000 km (539 nm), employing satellite communications (SATCOM). 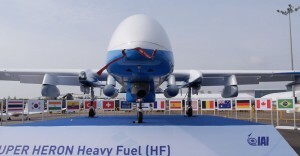 The drone weighs 1,450 kg (3,197 lbs) and can carry a payload of 450 kg (992 lbs), positioning the platform 50 kg below the MTCR limits imposing export restrictions on guided platforms capable of delivering payloads (a.k.a warheads) of 500kg (1,102 lbs) weight over distances of more than 300km (162 nm). 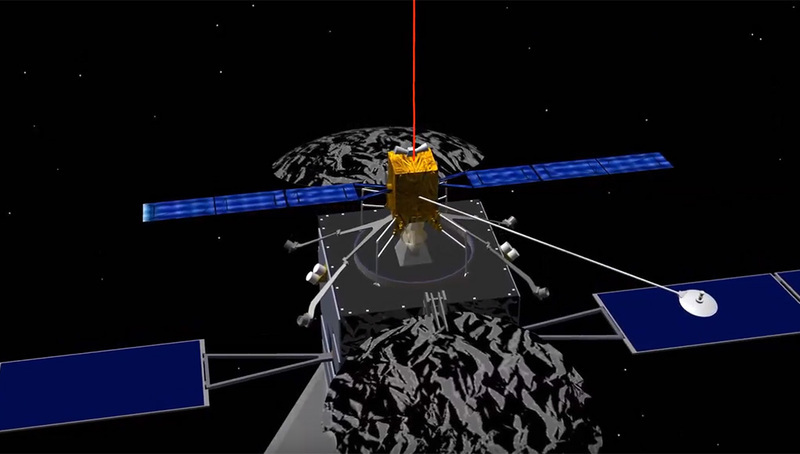 Using non-SATCOM datalink the Super Heron will meet both range and payload criteria, while adding the improved SATCOM datalink will maintain its compliance by the payload maintaining below threshold level. [wlm_ismember]To enable more efficient payload configuration the airframe follows straight lines and manufactured of advanced composites, enabling the carriage of heavier payloads on multiple attachments points in the belly, fuselage sides and six under-wing hard-points for external stores. 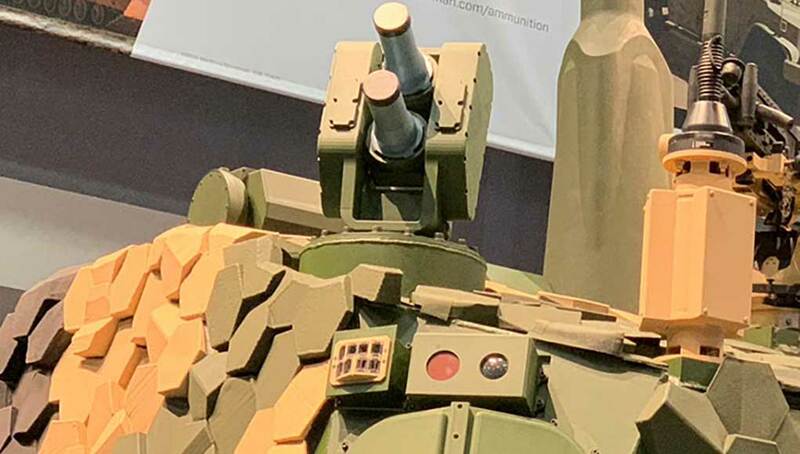 Among the payloads the new Super Heron will be able to carry is the M19HD multi-sensor payload, weighing up to 85 kg (187 lbs). This payload was specially adapted to fit the Super Heron’s ground clearance. 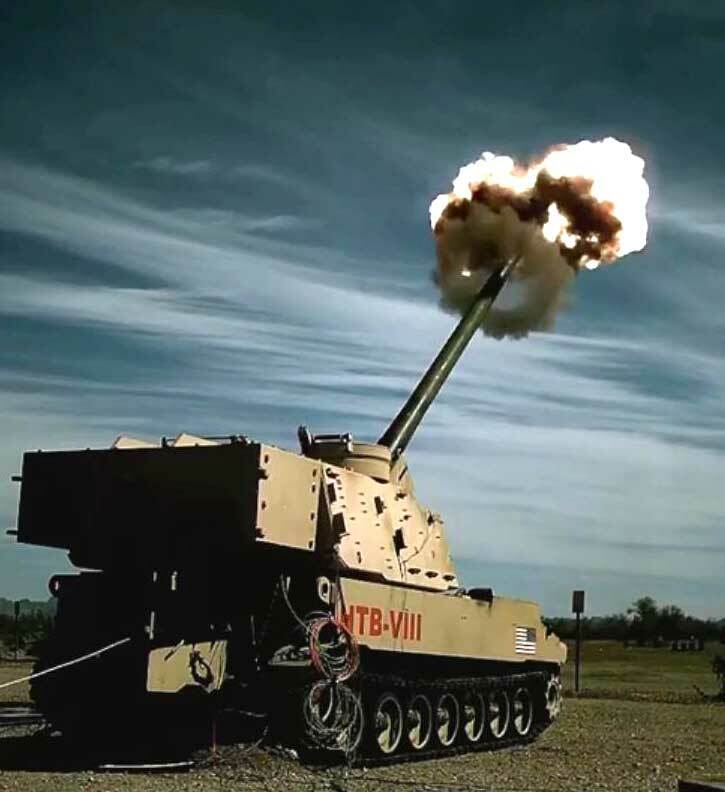 Additional attachments are provided on the tail booms, used primarily for the drone’s Signals Intelligence (SIGINT) antennae. This configuration, common to all Heron family drones, proved highly effective by clearing line-of-sight to the belly-mounted EO and radar sensors, while separating RF emitters thus minimizing electromagnetic interference. 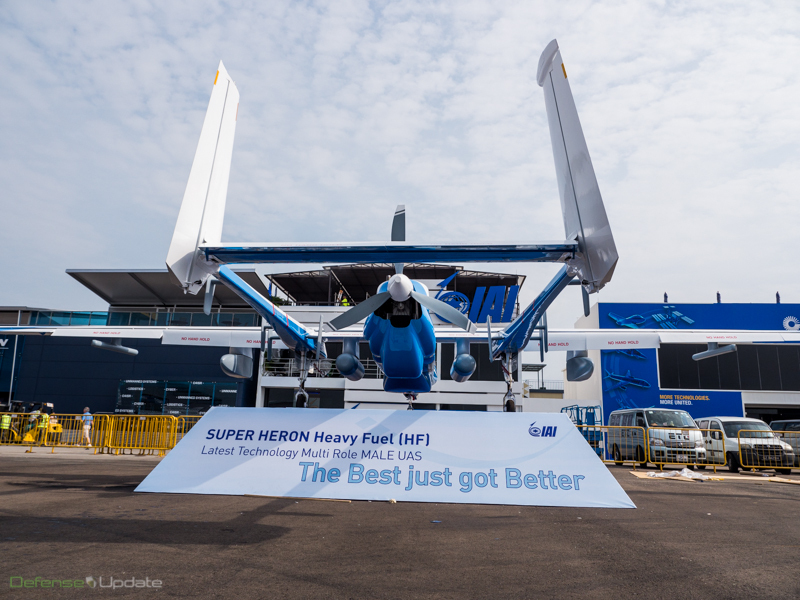 With higher rate of climb and faster cruising speed, Super Heron will be able to spend more time on a mission, as the flight time to its destination and cruising altitude will be shorter. The total mission endurance of the Super Heron is 45 hours. The avionics are also improved, providing triple redundancy for the flight controls and mission computers, while offering adequate growth potential. [/wlm_nonmember]At the Singapore Airshow 2014 IAI circled the new Super Heron with 17 flags of its UAS customers [wlm_nonmember]Subscribe for the full article[/wlm_nonmember][wlm_ismember]including Australia, Belgium, Brazil, Canada, Colombia, Finland, France, Germany, India, Israel, Spain, Srilanka, South Korea, Switzerland, Thailand, Turkey, and the USA. 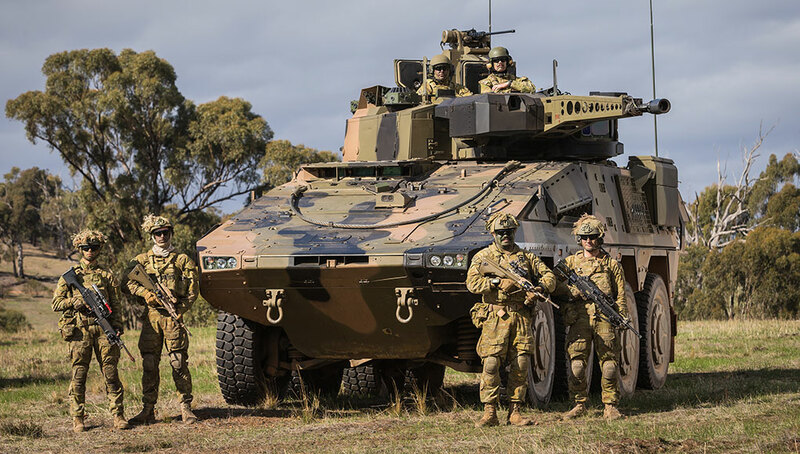 Unlisted but previously reported operators are also the Azerbaijan, Ecuador, Indonesia, Timor, Morocco, the Russian Federation and Singapore, which is displaying its Heron at this airshow. [/wlm_ismember] IAI’s various UAS have accumulated over 1.1 million operational flight hours around the world, with the Heron family drones accumulating 250,000 operational flight hours. 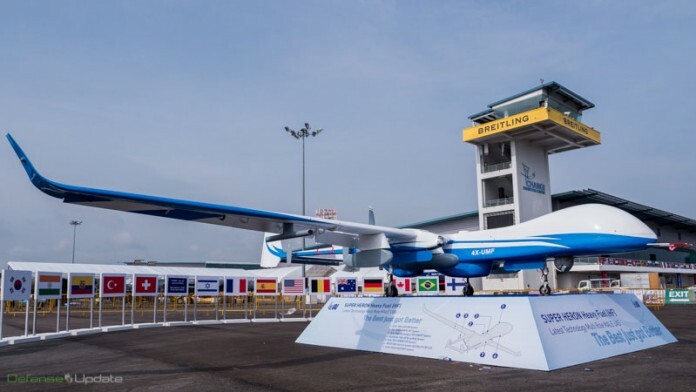 The new drone has already made initial flight-testing and have met the expected performance set for the platform, using the Rotax engine configuration. 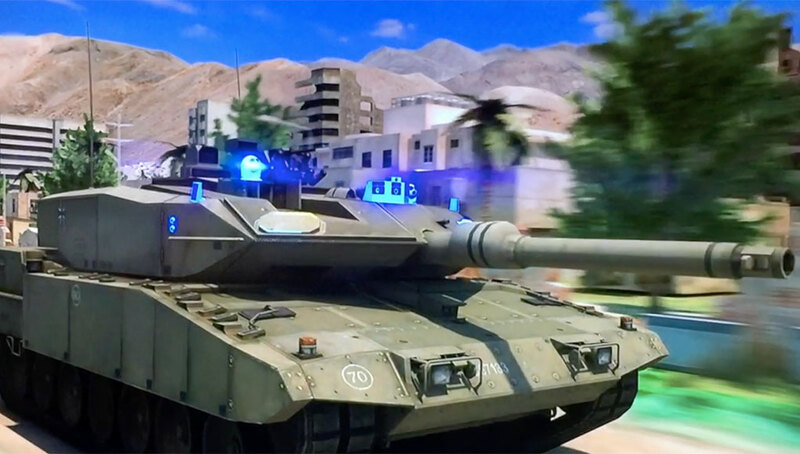 IAI is already proceeding with the platform certification, part of which will be based on certifications already received for Heron I. The design already implements preparations for future sensors that are expected to become mandatory for drone flights in non-segregated airspace. Certification of the Dieseljet engine is also undergoing with the original manufacturer.